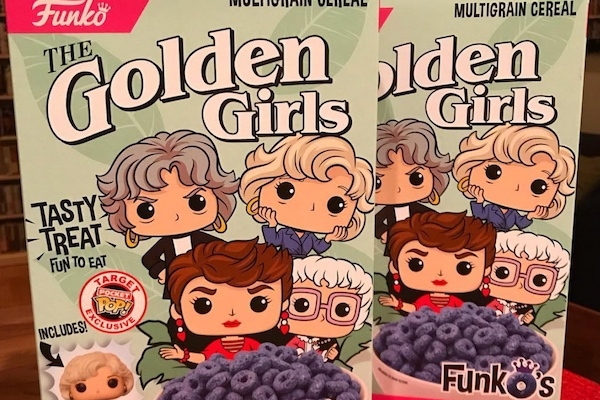 Funko has released a limited edition “Golden Girls” cereal for sale exclusively at Target. Delish reports that animated figures of the cast appear on the cereal box. The cereal is blue but no word on why that color was chosen or what the cereal tastes like. The back of the box features a maze and a special message from Funko. Each box also includes a Funko “Golden Girls” doll. “Golden Girls” already has plenty of merchandise floating around online including hot sauce, “Golden Girls” Clue, Monopoly and dolls. 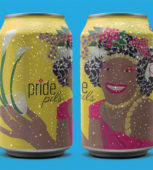 Delish notes that fans should check both the cereal and toy aisles at Target as the product has been stocked in both locations.